Following the recent void of Sen. Antonio Trillanes' amnesty, a Canadian Political commentator shared his stance on Senate's stand to "no arrest" on their premises. Amir Assadollahi stated that the Philippine Senate is becoming a criminal's home for keeping Trillanes. He also stated that Trillanes must step out and answer the allegations if he is not guilty without the protection of the senate. Somehow the Senate of the Philippines is becoming like a motel for criminals and corrupts. Did I get it right? But they are putting the life of Trillanes in danger. If he is not guilty, he can step out and answer for what needs to be answered, and without the protection of the senate. Keep in mind that the law seems to be very clear about things, and all senate is doing is going against the law. When the senate session is over, the doors are closed, and people go home to what they have to do and to their own life. You are keeping the senate hostage actually and diverging attention from what they have to do. How about all the other things the senators have to do? What about all the committees they have to chair and open to public scrutiny? Are you intentionally diverging attention from all those important things to a pompous idiot who got it easy when he conspired to do a coup, mind you he and his team were so useless that they failed in their coup! Maybe he is too afraid to be judged for treason for creating the territorial conflict issue regarding those artificial islands, and somehow his boss (Aquino III ) gave him amnesty which was invalid anyhow, and now that both of them could be in deeper $hit for both criminal acts against the Philippines and corruption suddenly the senate is a motel? You see, there is no hole in or on earth that he can hide into. If he slips away, the senators who gave him this chance are guilty by default for assisting and embedding a criminal and obstruction of justice - how would that sound? 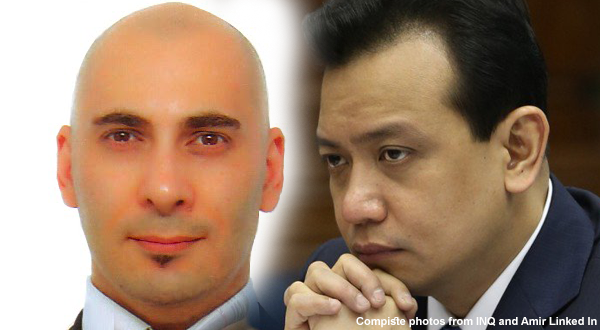 Trillanes is still bound to military court, and Aquino may have played a role in the coup himself (who knows, right?! ), and maybe that is why he gave him amnesty! The failed attempt of the coup happened during the Presidial term of Gloria Macapagal-Arroyo, and we all know who became president after and how Trillanes ran for senate while he was in military prison as a soldier conspiring to overthrow the government using military force and for his disloyalty to the Commander and Chief in which was President Gloria Macapagal-Arroyo. Trillanes is a corrupt and criminal minded person. There is no single doubt about that. He knows way too much about the foriegn and domestic players in that coup, and those who are keeping him in the senate are actually doing him a disservice and putting his life in danger - because if he submitted himself to the military police and military court, at least he had more safety. Now those who want to turn him into cause, may do the same thing as they did to Benigo Aquino Jr. and either he is as dumb or ambitious as Aquino Jr. was or he as as dumb and stupid of a self-centered egoist that he wants revenge on all Filipinos for not approving of him by wanting to be killed. By the way, he already said that in the past of the chances of him being assassinated, and so he already has planned for that as his last desperate attempt, just like a suicide bomber or a kamakazi pilot would do. You stupid senators, maybe you cannot see beyond your two feet, and you are actually endangering his life. So, you all are as guilty in that - and I hope your conscious is clear. De Lima is so lucky that she is sitting in her cell, because if she was out, her safety could not have been guaranteed. 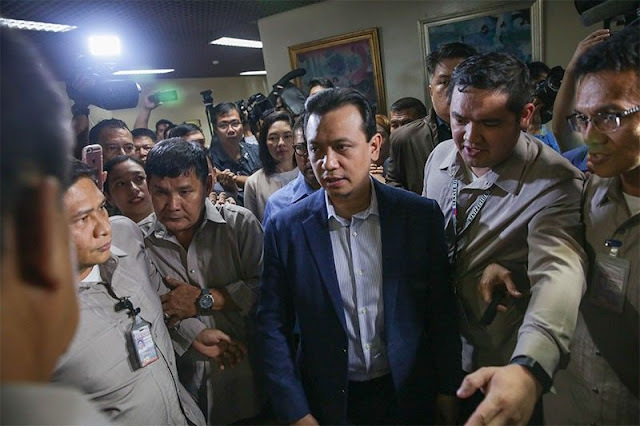 Trillanes safety can only be guaranteed in the military prison.